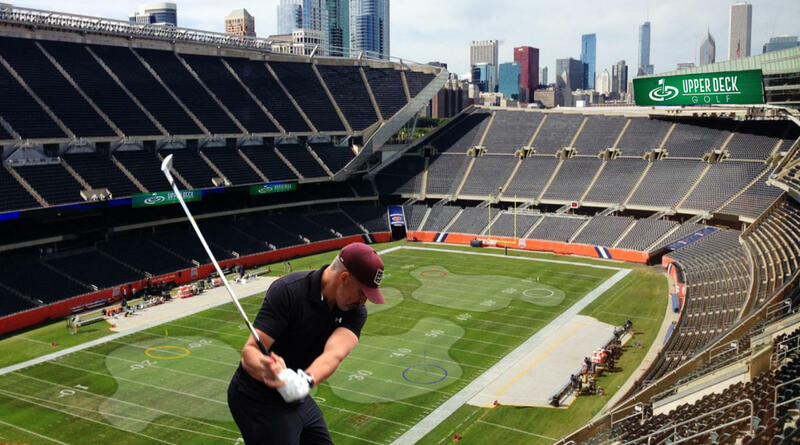 Play an epic round of golf inside Iconic Soldier Field! Upper Deck Golf is a once in a lifetime golfing experience inside the most legendary stadiums and ballparks across the country! Enjoy a VIP experience while hitting tee shots from the upper deck throughout the stadium, down to custom greens on the field below. You’ll start and end your round at the clubhouse festival inside the stadium with great music, cold beers, food and multiple golfing challenges for you and your friends.